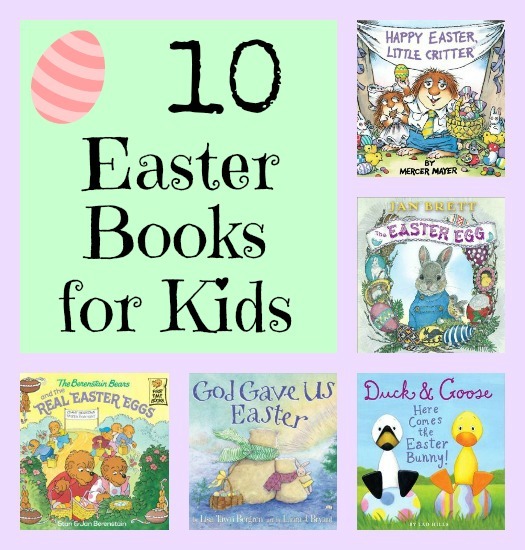 If you don’t want to rely solely on candy to line your little one’s Easter basket and rot their teeth, I compiled a list of our family’s top 15 Easter Books for Kids! Check out all of the latest Easter content I’m pinning by following me on Pinterest! Awesome list. We have several of these with Berenstain Bears being Zoe’s fav right now! Awesome list! I have always loved the Berenstain Bears books! I have the Jan Brett book and it is beautiful! What a great list, thanks for sharing! You know, the only Easter book that we have is Charlie Brown’s Easter. We have several other Berenstain Bears books and my five year old loves them, so maybe I should get over to Amazon to order one or both of the Easter ones. We actually don’t have any of those! I love having holiday books in the house. It keeps read aloud time fresh. Nick was born only a few days before Easter, and that year “Pat the Bunny” was in his basket. we don’t have any of them, which makes me a little sad! We even have a number of Berenstein Bears books, too! Thanks for putting this together – a great list. We got a few Easter stories before the holiday and then the Easter bunny brought a few more books in our baskets.